Alison Stevens joined EdVestors as its first Director of Evaluation in 2007 and currently serves as Senior Director of School-Based Investments. In addition to overseeing the grant review and selection process, Alison collaborates with grantees on collecting and reporting outcomes, while also incorporating evaluation into EdVestors’ own self-assessment and business planning. 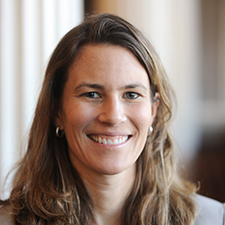 Prior to joining EdVestors, Alison served for six years as Executive Director of Tutoring Plus in Cambridge, a community-based tutoring and mentoring organization for low-income children. Previously, Alison was a consultant for McKinsey & Company in Boston and graduated from Dartmouth College with an AB of Economics.